[Jen] Inquiry is more than something you do in your classroom… it’s a natural way that humans approach the world. 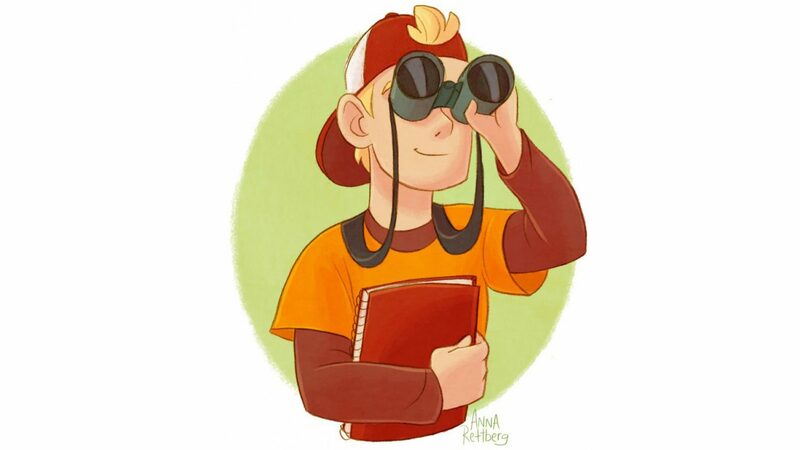 We’re naturally observant and curious! I know with a 5-year-old at home, I’m always surprised by the types and numbers of questions I get and I’m always Google-ing something. I think that’s what I like about science, there’s always something more to learn. Making observations and asking questions, those are just basic processes of science. Hey Kelly, what’chya looking at? [Jen] It’s that time of year! When I’m outside, questions naturally arise. How do these geese keep their feet from freezing in those frigid waters out here? [goose sounds] And how come the birds are getting so noisy right now? And when I add doing citizen science to the mix, the questions can even get richer. Whether I’m participating in eBird or Project FeederWatch, I’m observing patterns over time. Are the birds going to start nesting earlier this year because it’s looking like it’s going to be a warmer spring? 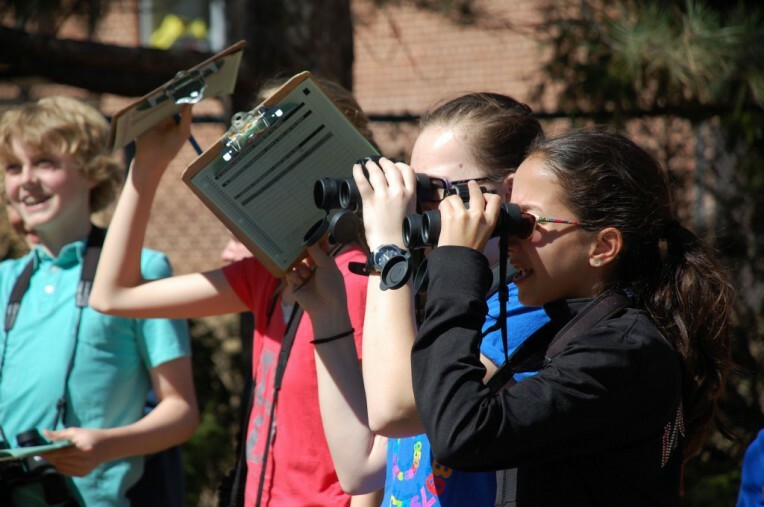 Citizen Science and outdoor observations are great opportunities for rich questions. [Kelly] Research shows that kids should learn science by doing science, and that they should use the same methods that professional scientists do. Kids should be engaged in the types of investigations that allow them to ask and answer their own questions, especially if the answers to those questions aren’t known before hand. that science is just a body of isolated facts. [Jen] Citizen-science makes inquiry even more real-world. You’re answering your own questions…but you’re also contributing data to an authentic science project! That’s really motivating for students because they know that the data they’re collecting actually matters! The combination of citizen science and inquiry? It’s really powerful! [Kelly] As you move through this course, you’ll find ways to take advantage of the combination of citizen science and inquiry to spark student interest and capture their curiosity. [Jen] Whether on birds, mammals, invertebrates, or phenology, there’s sure to be a citizen-science project for you and your students! The Cornell Lab has pioneered the use of inquiry and citizen science in the classroom as a powerful way to harness the natural curiosity of students and transform it into experiences they will never forget. Through case-studies, practice activities, standards alignment, and reflection, this course will prepare you to weave inquiry-based learning into your students’ lives in ways that will build their confidence and motivation to engage in science. This self-paced course will help you explore inquiry-based learning and scientific investigation, especially as inspired by outdoor observations and citizen-science. The course enrollment fee is $59.95 and provides two Continuing Education Units (CEUs) from Cornell University upon successful completion of the course. You will need to download the Investigating Evidence curriculum as the “textbook” for this course, or you can purchase a full-color printed copy for $25 on the K-12 Education website. Just because the course is completed on your own time doesn’t mean it isn’t interactive. Throughout the course, you’ll hear from teachers who have successfully used citizen science with students. You’ll also participate in discussion boards and learn from other educators as well as your Cornell Lab facilitators. We’ll encourage you to get outside and explore, and to think about applications for and implementation in your own program or classroom. Finally, quizzes and assignments will help you test your knowledge and understanding. Define “citizen science” accurately in your own words. Define “inquiry” accurately in your own words. Explain the benefits of teaching through citizen science and inquiry. Describe how citizen science and inquiry are related. Identify the science practices developed through citizen science and inquiry. Describe the importance of fostering observations. Identify an inference versus an observation. Distinguish between open-ended and closed-ended questions. Differentiate between questions that can be answered through reference materials, data exploration, observational study, and experimentation. Support students in writing a testable hypothesis. Identify independent and dependent variables. Define variables in an experimental study. Correctly identify and describe four commonly-used kinds of graphs. Determine which type of graph is best suited to display various types of data. Name at least three common mistakes when graphing data. Describe how citizen science can contribute to data literacy. Use a rubric to evaluate a scientific report. Describe four ways to share student investigations. Develop a personalized implementation plan for your educational setting around inquiry and citizen science. Buy Inspiring Investigations through Citizen Science Now!